No words would come as Harriet settled into a molded plastic chair next to the crib holding her son, perhaps to watch his final breaths. She struggled between the instinct to cradle him in her arms and the fear that suggested she keep him at a distance to protect the emotions threatening to flood her mind. The metal bars around his tiny body seemed to represent the prison of hopelessness she had been in for so many years. And yet, the soft spoken words, kind touch and constant prayers of the woman hovering over her child seemed to somehow give her a measure of comfort –something she had not felt in a long time. Harriet searched for an escape in her mind from the reality of the critical condition of the child in front of her. She thought back to her first marriage at the age of 12 and the birth of her first child soon after. That husband was a good man and provided well for his small family as a boda (motorcycle for hire) driver until the night when he was murdered and his bike stolen. Fearful of raising a child alone Harriet quickly remarried, but after delivering three more boys her husband became angry and his family chased her away saying she was cursed because she could not produce a girl. Her third husband seemed kind at first, but after Ali was born he became abusive and Harriet escaped with her five young boys to manage on her own as best she could. She received barely enough money digging in a neighbors garden to rent a small hut where they could sleep at night and provide small amounts of food, but not to care for a sick child. Her thoughts were interrupted as Pastor Hillary quietly pulled up a chair near Ali’s bed and asked if he could pray for her. Harriet had come to know Jesus as a young girl and had prayed in her teenage years, but now at the age of 23 she no longer believed prayer could make a difference. Her circumstances seemed beyond help, but she agreed to his offer, if for no other reason than to provide a distraction and some company. As the pastor prayed she began to feel a peace and, although Ali’s condition seemed the same she felt somehow encouraged. Even the SHC medical team had not thought Ali would survive the first night at the center, but it had now been over 48 hours and he was still hanging on. The nurses and doctors here cared for Ali in his weakened condition as if he were truly valuable, like he was worth saving and Harriet felt a flicker of hope. Three days passed, then four and soon a week had gone by. Nurse Constance told Harriet that people all around the world were lifting up prayers for God to heal her son; Ali was not yet healthy, but he was alive and hope slowly began to replace the fear and discouragement that had become her constant companions. God was working a miracle in a small health center in rural Uganda to physically heal the body of a little boy and heal the heart of his mother! Four weeks later Harriet could hardly believe she was preparing to take her son home. God had not only healed her son, He had changed her life through the prayers and teaching that had been her daily routine during her stay. She had knowledge to change the health of her family and had learned that God was truly her refuge in any situation. Even in the last days at the center God had provided the means to create an income to care for her family through the gift of a pair of goats from a partner organization, Give a Goat. Harriet brought her child to Serving His Children in a desperate search for help and found hope, restoration and transformation; a true miracle! 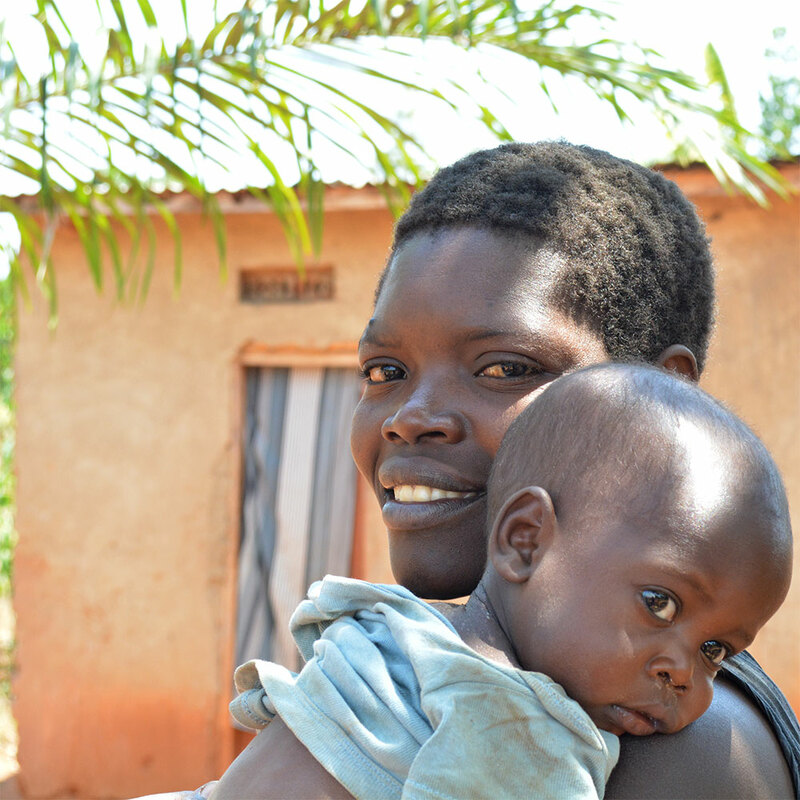 Harriet’s story is just one of many that unfolded this year in our Rural Malnutrition Rehabilitation Program, operated in partnership with the Uganda government, in Mayuge; one life saved, another transformed, the Gospel displayed and the cycle of malnutrition broken in one more family. Because of the generous support from people like you, soon malnutrition will be scarce in Mayuge district; health is being restored to children, families are being empowered through education, and communities are finding sustainable solutions to identify, treat and prevent malnutrition. And when that is achieved, it will be time for us to begin again in a new community. 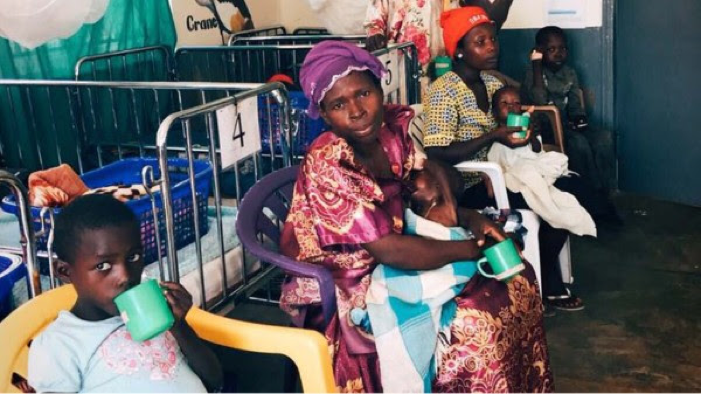 Please consider making a year-­‐end contribution; join us in celebrating the miracles of 2017 and partner with us to break the cycle of malnutrition in families and communities across Uganda in 2018. Thank you for your support!